Kevin joined our team in 2017 with a background in personal injury and family law. He currently practices general insurance litigation, with a focus on defending bodily injury claims. His line of defence work involves representing clients at the Supreme Court level throughout British Columbia and, more recently, Alberta. Recently, Kevin reached a milestone in his career with a highly publicized case in which he successfully defended a 10-year-old girl who was being sued by a jogger who ran into her bike. Kevin achieves strong results for his clients through his heightened empathy and exemplary determination. He makes it a point to come to the most reasonable outcomes as efficiently as possible for his clients. 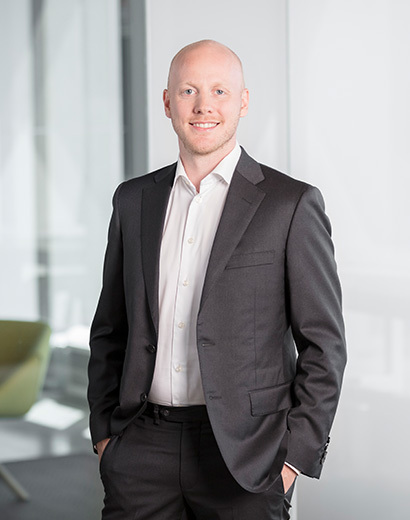 Having recently moved to the firm’s Calgary office, Kevin can often be found skiing on weekends during the winter and hiking local trails with his husband and their dog during the summer.